Er gebeurt zó veel deze dagen, kan het amper bijhouden! Ik wordt elke dag gebeld of geappt door een of meer lieve prachtig mooie deelnemers aan Unveiling the Goddess within of aan de Intensive LightWork Guidance dat er werkelijk de meest amazing doorbraken zijn. Whoohoo!! Ik las ergens: dit wordt de periode waarin je doorbreekt in wat je echt bent. The next step. 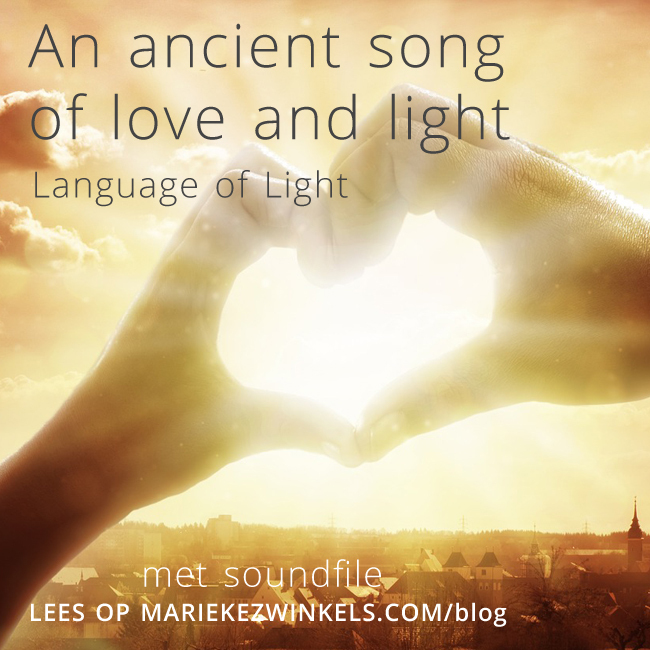 I started singing in the Language of Light (never done that before!) really simple and pure song of love and light and innocence. It was so amazing: after I sang to myself I saw each of the Goddesses standing in front if me, clearing with the song, then turning around and joining me and we sang to each and everyone. Then we sang to our children, and our childrens children, and so on, 7 generations into the future. Then all became white light. It is an ancient song of love and light, it sings of pureness and innocence and is an immensely powerful gift and tool. It heals and transforms back into light. It reminds that which it is being sung to that it is, indeed, love and light. It reminds of divinity and of source energy and sings back into the original. After that I fell asleep and woke with Aster on my belly purring like crazy. Hiernaast kun je het luisteren. Ik wens jou een mooie, bijzondere en vooral empowerende tijd.